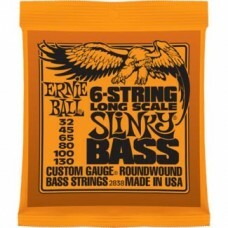 7-STRING REGULAR SLINKY NICKEL WOUND Ernie Ball 7 String Regular Slinky Strings are wide..
7-STRING SUPER SLINKY NICKEL WOUND Ernie Ball 7 String Super Slinky Strings are widely r..
6-STRING SLINKY BASS LONG SCALE NICKEL WOUND Optimal for basses with a longer scale, tap.. 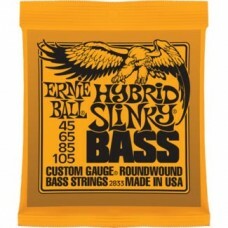 HYBRID SLINKY BASS NICKEL WOUND Ernie Ball Hybrid Slinky Bass Strings are round-wound fo.. 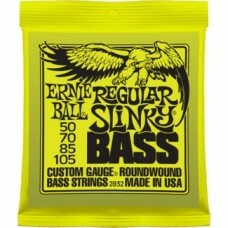 REGULAR SLINKY BASS NICKEL WOUND Ernie Ball Regular Slinky Bass Strings are round-wound ..
SUPER SLINKY BASS NICKEL WOUND Ernie Ball Super Slinky Bass Strings are .. 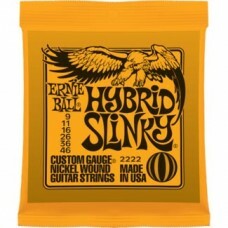 HYBRID SLINKY NICKEL WOUND Ernie Ball Hybrid Slinky Electric Strings are a perfect match..
POWER SLINKY NICKEL WOUND Ernie Ball Power Slinky Electric Strings are a perfect match f.. REGULAR SLINKY NICKEL WOUND Ernie Ball Regular Slinky Electric Strings are our top selli.. 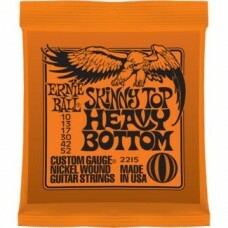 SKINNY TOP HEAVY BOTTOM NICKEL WOUND Ernie Ball Skinny Top Heavy Bottom Slinky Strings a..
SUPER SLINKY NICKEL WOUND Ernie Ball Super Slinky Electric Strings are played by Jimmy P..